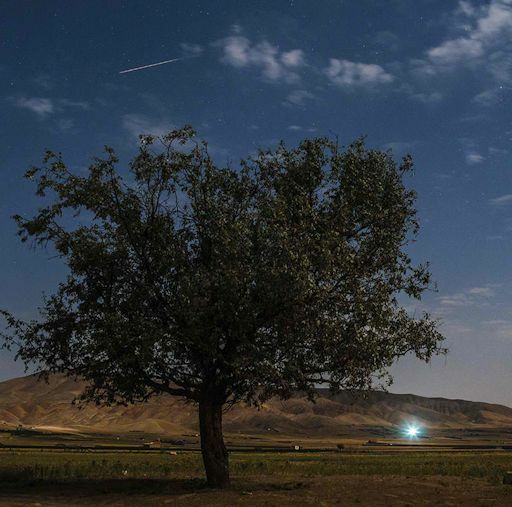 PERSEID METEOR SHOWER--PEAKING NOW: According to the International Meteor Organization, the Perseid Meteor Shower is peaking now with as many as 50 meteors per hour. These rates are sharply reduced, compared to a normal year, because of the glare from the waning supermoon. It is still, however, a significant shower. If it is dark where you live, go outside and look up. Otherwise, try listening to Perseid radar echoes on Space Weather Radio. "Despite the moonlight and clouds," says Abolfath, "I still saw some good Perseids." "I spotted Jupiter with Venus just 6 days before the super conjunction," says Whittaker. "It was a beautiful view--and it's only going to get better." Observing tips: Look east about 30 minutes before sunrise. A clear view of the horizon is required to see the low-hanging pair. Each morning between now and the 18th the distance between the two will decrease as they converge for their dramatic meeting next Monday. No special optics are required to see the amazingly bright pair, but if you have binoculars, use them. 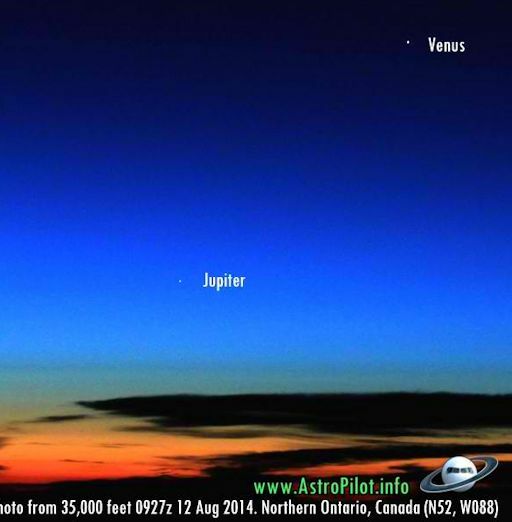 A quick scan of the sky around Venus and Jupiter on August 18th reveals that the two worlds are not alone. The planets are converging right beside M44, the Beehive Cluster. Located about 500 light years from Earth, this busy cluster of stars is barely visible to the naked eye, but it is an easy target for ordinary binoculars. At first glance it might seem that a pair of supernovas has gone off inside the cluster—but that's just Venus and Jupiter passing by. Photographers, if you take pictures of the morning show, submit them here. On Aug. 13, 2014, the network reported 163 fireballs. On August 13, 2014 there were potentially hazardous asteroids.